01 May Welcoming Environ and Vitamin A to St. Pete! 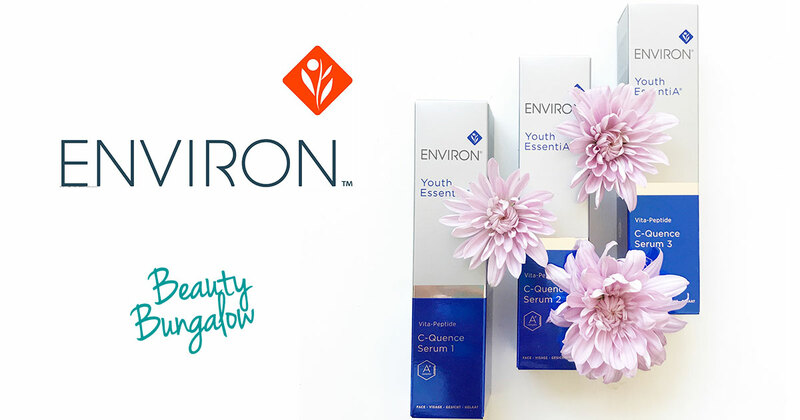 We’re proud to welcome a curated selection of Environ to the Beauty Bungalow St. Pete shop! As seen in Glamour, Health & Fitness, New Beauty, Allure and more. We’re obsessed… and hope you love it as much as we do, too! Environ’s line was founded by Dr. Des Fernandes who pioneered Vitamin A research in the 1980’s. After decades of research and development, Environ truly understands the complexities of skin conditions, specifically sun damage and aging skin. You might be familiar with over-the-counter retinol and prescription forms of Vitamin A such as RetinA, Tretinoin, etc. But Environ is fundamentally different because they use a retinol ester rather than a retinol acid. This means we can deliver the same benefits with much less risk of the sensitizing side effects you may have experienced with prescriptions. Plus, Environ follows a Step-Up program which slowly introduces your skin to vitamin A without overwhelming it. This step up system means your results will not plateau because as your skin’s tolerance increases, the dose of Vitamin A increases, too. In addition to the Vitamin A, Environ products also contains high levels of Vitamins C and E, peptides, growth factors and alpha hydroxy acids to promote radiant, youthful skin. So why is Vitamin A so essential to keep your skin looking young and healthy? It has been proven to promote the skin’s natural moisturizing factor, keeps it looking firm, stimulates production of collagen. helps prevent breakouts, and gives a radiant glow. Our founder Denise has integrated Environ into her personal regimine. She says “This line has become my go to. I see such great results from each product I try”. Visit us at The Beauty Bungalow to experience the new vitamin a products firsthand. Let us know you’re interested and we can upgrade your facial to an Environ treatment . We’re happy to make customized recommendations based on your skin type and treatment goals.